By David Whinyates on 2019-04-03 - David is one of the UK’s most experienced motoring writers and was instrumental in setting up the Driving Force syndication service for Britain’s biggest regional newspaper group. Former Chief Motoring Editor of Trinity Mirror Regionals, he is Driving Force’s Consultant Motoring Editor and a director of Driving Force Media Ltd.
McLAREN is performing a strip-tease act ahead of the official reveal of its' exciting new Grand Tourer. 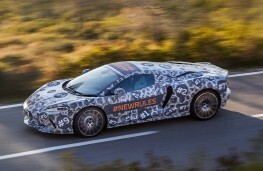 Last seen with additional body panels designed to hide the exact styling of what the company claims will be a ‘rule-breaking Grand Tourer', the prototype pictured testing here has had most of the disguise removed, although the lightweight body remains covered by a shrink-wrapped livery. The ‘strip-teaser' pictures released by McLaren are part of a skilfully orchestrated publicity campaign ahead of the car's final unveiling in the summer. The company is promising it will begin to peel off the final camouflage disguise elements in May. 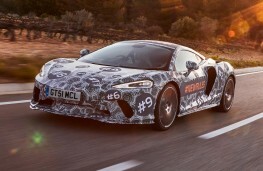 McLaren says that the removal of the additional "shape changing and noise-inducing" body panels will help its development team to run further tests, including a 1,000 mile drive from the company's development base near Barcelona, Spain, back to its HQ in Woking. 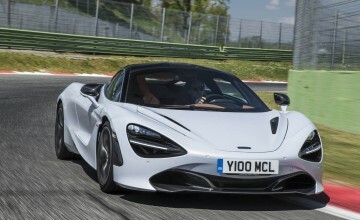 It will be a real-world test of the new grand tourer with two occupants and a full complement of luggage and one of many long-distance drives that will help the team to confirm the new model is both comfortable and refined as it goes into the final phases of its development, says the company. 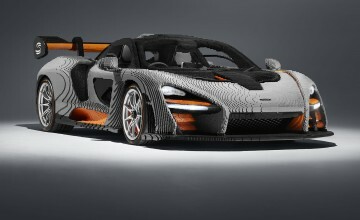 The name of the new model is yet to be announced - at the moment the company only refers to it as the ‘McLaren of Grand Tourers' - as are performance details. 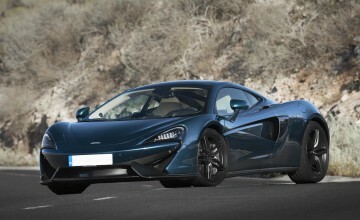 But it is known that the grand tourer will share its DNA with McLaren's Speedtail Hyper GT.